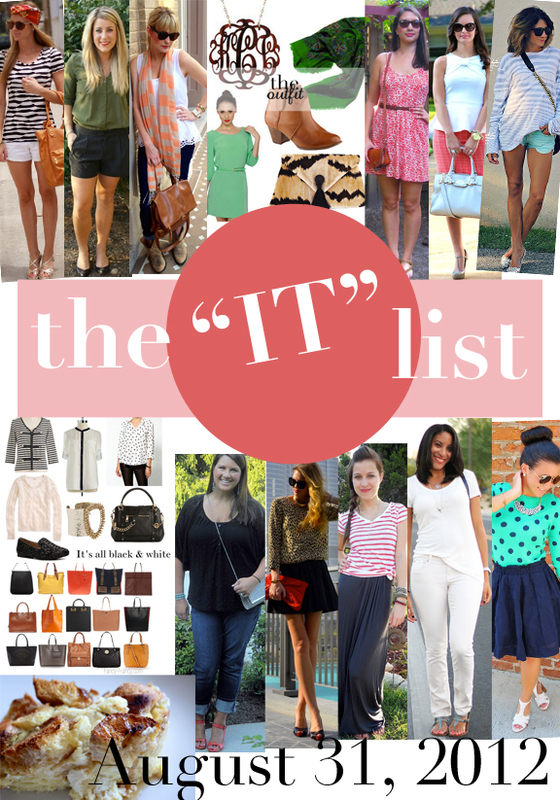 Hey Love: The It List! Ishi made an impulse buy that she definitely isn't regretting! Pop over to check out her latest (wallet-friendly) find! Coffee Beans and Bobby Pins recreated a look from our favorite Orange County girl - Lauren Conrad! Simple and great for summer or fall! It's Not That Deep mixes big and small for a relaxed but polished casual look! Pop over to see how you can recreate this outfit! For All Things Lovely looks so chic in peplum and a bow! She is summer on top and fall on the bottom for an easy transitional outfit! Your "it" lists are so amazing, it is quickly becoming my life goal to be one someday :D Seriously though, you find the best stuff! So many new blogs to check out - thanks! I love these kind of recap posts, full of inspiration. Thanks! Thanks for the links!! A lot of awesome blogs.